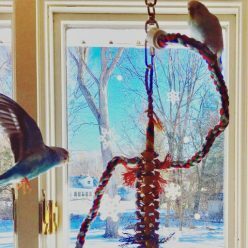 WOW – that’s some next level budgie trickery! I could totally see one of my girls doing that, she tried to put a hole in a wall just for fun last summer. Thank you! I’ll keep a close eye on them. My parents wanted to get a male budgie Currently we have two female budgies. If we are to get a male my concern was just this. I know that birds won’t breed if they don’t really care for each other and if you don’t put a nest in their cage. I wanted to know more. I sort love the idea of getting another budgie just because their so great to have as pets. I mean we are only first time bird owners so I want to educate myself on this. I just wouldn’t want them to mate. Everything time I go to the pet shop is see how many them there are so I get a sad seeing them there. So, this is why I don’t really like breeding. Or the idea of it. Especially when have dogs you know that breeding is unnecessary when there’s just so many in dogs shelters that need homes. We’ve had Kevin with the two girls for well over a year now and have not had any eggs laid, so far so good! Anyway, Kevin is such a delight I say give it a try and just be prepared to make a tough choice as far as what to do with fertile eggs if you end up with them. I do believe that just because they lay eggs doesn’t mean we would necessarily have to have baby parakeets, but I know that not everyone would feel comfortable with destroying fertile eggs. I completely agree that with all the birds in the world already who need homes it feels unnecessary to make more. Best of luck whatever you decide to do! 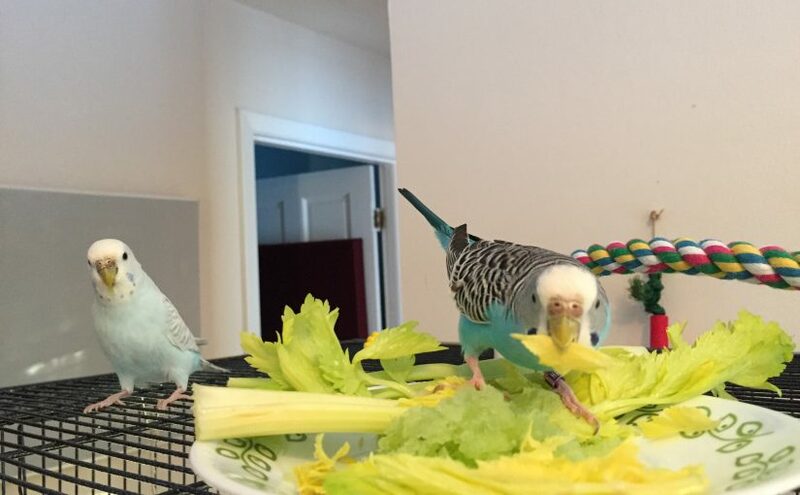 Previous Previous post: Parakeet weight update – have Toby & Kelly slimmed down?